We’re excited to offer the legal community a solution with a 30-year track record featuring best-in-class physical records management, shared client/matter data, advanced retention/disposition, ethical wall, and digital content integration capabilities. First-time exhibitor at the ILTACON Educational Conference, Infolinx will present its leading enterprise records management software at the premier educational and networking event for the legal sector August 13-17, 2017 in Las Vegas. With an expansive feature set, Infolinx software provides an innovative, browser-based application to track and manage physical records and electronic documents. With configurable and advanced retention and disposition functionality, the Infolinx application enables law firms and legal departments to manage the entire life cycle of records, ensuring information reliability and integrity. Tim Butler, Managing Director of Infolinx said, "We’re excited to offer the legal community a solution with a 30-year track record featuring best-in-class physical records management, shared client/matter data, advanced retention/disposition, ethical wall, and digital content integration capabilities." 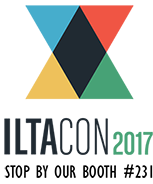 Infolinx invites all ILTACON attendees to see live product demonstrations at booth 231 during exhibitor hours Aug. 14-17, 2017. To schedule a product demo in advance or for more information, contact us today. The latest features of Infolinx WEB 3.5 include digital content management, expanded integrations with leading enterprise content management software and off-site storage providers, multiple language support, extended search capabilities, and configurable email notifications to streamline in-app communication between users.